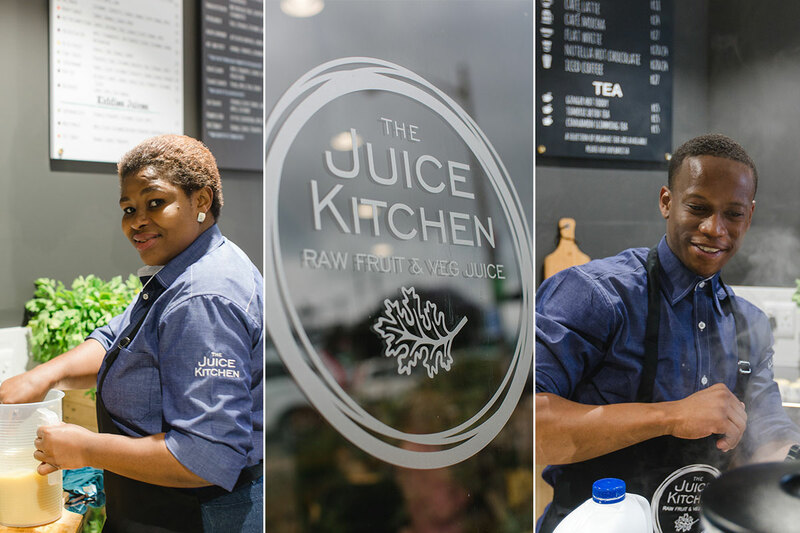 We have partnered with THE JUICE KITCHEN to supply us with fresh organic cold pressed vegetable and fruit juices and delicious superfood smoothies. 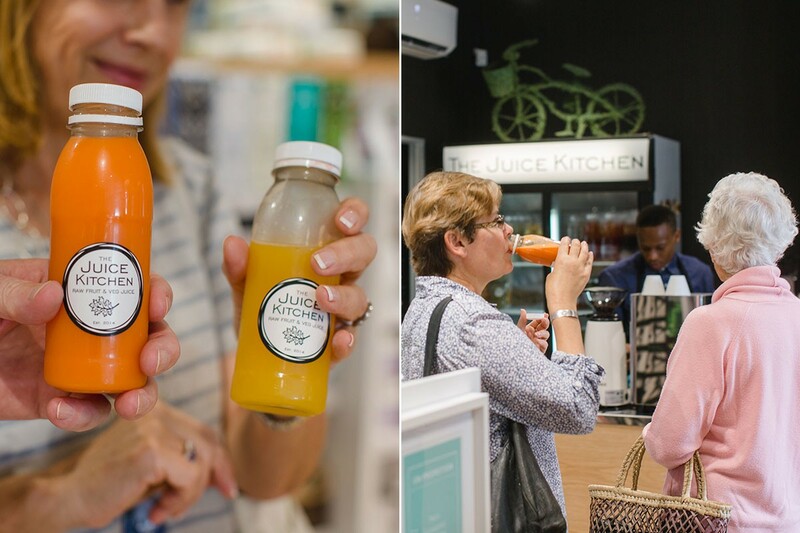 Fresh juice provides us with a natural source and healthy dose of vitamins, minerals and essential fatty acids. Making fresh juice part of your daily diet can help with increased energy, a strengthened immune system and maintaining overall health. 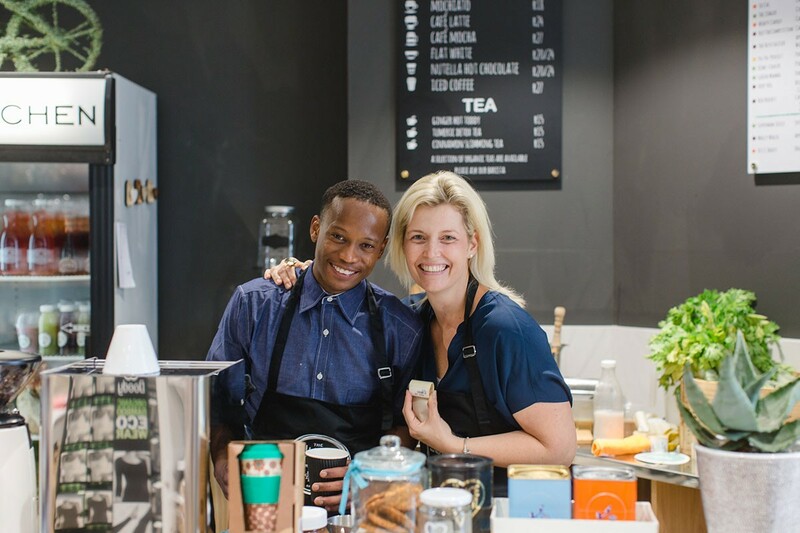 Come into Thrive and enjoy a freshly squeezed juice or superfood smoothie and grab one out of the fridge for a delicious on the go boost. Gives an all round cleanse with maximum vitamins, minerals and antioxidants. For that post weekend recovery. 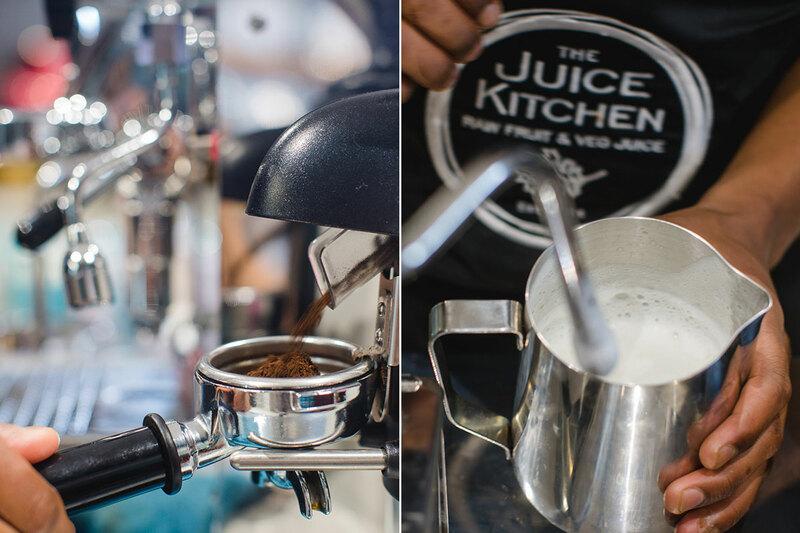 Overindulgence is neutralised through these recovery juices. Hydration and Vitamin boost. Focuses on digestive issues. Contains prunes and celery. 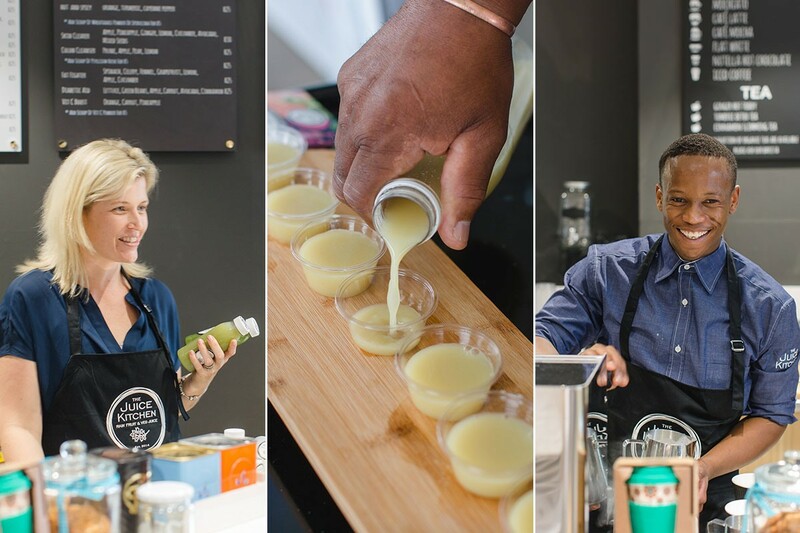 Also has green juices and others digestive products as part of the pack. This detox targets skin rejuvenation, cellulite and ‘white eyes’ juices. For the sporty folk. We have numerous sports related juices. Pre- exercise juices containing beetroots to build blood and post-exercise to help the body quickly recover and hydrate. Also includes protein juices for your race/ride. During this first stage your blood sugar will drop to below 70 mg/dl. Your body will convert liver glycogen into glucose, which will then be released into your bloodstream in an effort to restore the body’s normal blood sugar levels. After approximately 12 hours your body will reduce its basal metabolic rate, thereby lowering your blood pressure, further glycogen is then taken from muscle. The body does this to conserve energy. 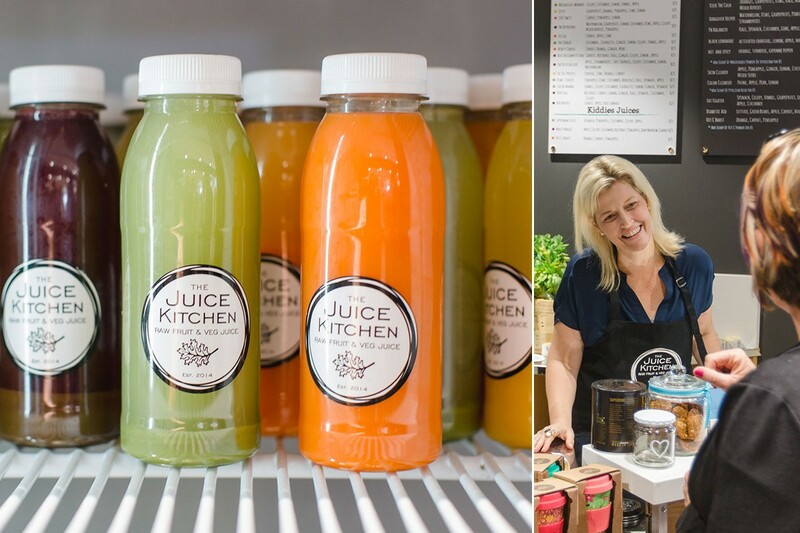 Most people feel the benefits of a juice cleanse from as early as the first day, with increased energy and alertness, though if your diet has been poor prior to starting the cleanse you may feel a little weak during this first stage, but this should last no longer than 3 days. Stage two is a period of internal cleansing and healing for your entire body. With a nearly inactive digestive tract, there will be an increase in the activity of your immune system and white blood cells. Your body will be drawing energy for this process from fat stores and toxic cells. These are broken down to provide glycerol from the glyceride molecules and these are then converted into glucose. Your colon is also undergoing repair and any impacted faeces will start to loosen. Colonic irrigation can quickly assist by removing all undigested food remaining in your colon. Your desire to eat should now have completely subsided. Your energy levels should be high, with glowing skin and a flatter tummy. Weight loss during this period is usually between 2.3 – 5.5kg. By the end of the detox, your hunger cravings would have diminished compared to the first couple of days. Your body will now be used to what you are putting into it. After the detox, do not pile straight into carbs and meat! Eat fruits, vegetables and salad the day after you finish. On the second day, continue with the salads, but you can introduce some protein in the form of Avocados, egg and tuna. Day three after the detox, you can now eat meats, chicken and fish….and some carb’s if you wish. On all three days, continue with fruit, veg and lots of lemon water!